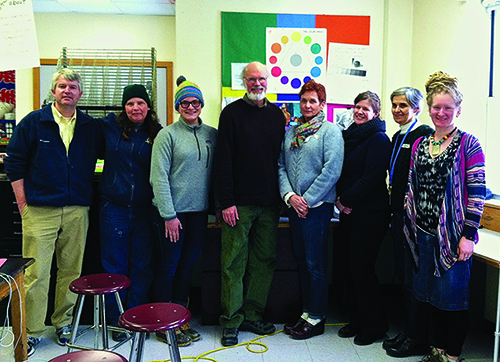 In January 2014, Middle School students, parents and teachers met to put into action the grant for an Animation Integrated Studies and Digital Studies program. Middle School art teacher Marguerite Lawler-Rohner helped her art students create paper figures brought to life by renowned filmmaker Huey, who taught the group how to make stop-motion animated movies—a skill that those attending then brought to the wider Middle School community. Last semester, seventh grade students incorporated the learning into language and social studies classes.